Our favourite Jane Harper is back with a new book and back at the Sun Bookshop! 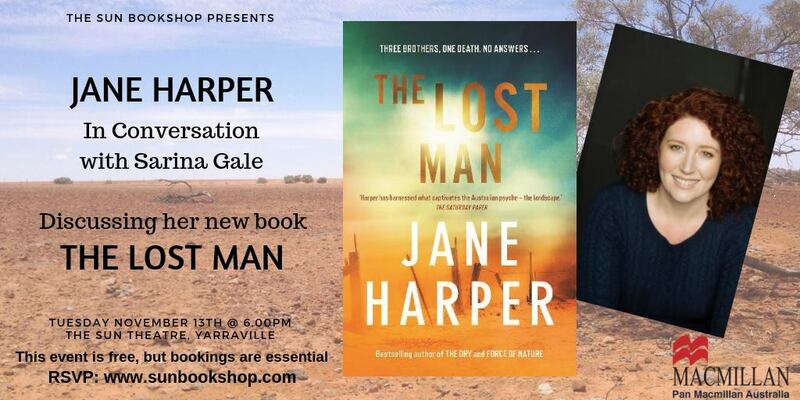 Join us for a very special event with Jane in conversation with Sarina Gale to discuss her new novel, The Lost Man. It will be held at 6:00pm on Tuesday the 13th of November in the Barkly Cinema at the Sun Theatre, 8 Ballarat Street Yarraville.